Mikko Pettinen graduated from the Sibelius Academy and was chosen as the best soloist at the prestigious Getxo contest for groups whilst his band, MP4, won the “unofficial European championship” at the contest (Jazz Getxo Live, Hilargi 2002). Another one of his personal, international merits is the second prize that he received at the 2001 Carmine Caruso International Jazz Trumpet Competition for young soloists in Reno, United States. Since then, Pettinen has performed in various ensembles (including Son Sabroson and Electromagnetique) and, because of his open-minded attitude, he has also performed live with Jimi Tenor and played on the albums of other Finnish popular music artists including Paleface, HTBT, Jonna, Redrama, and Anssi Kela. 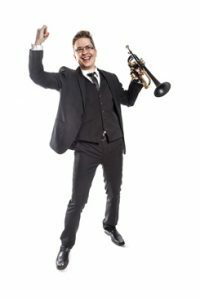 The versatile and charismatic musician is also sought after in big bands and has played, in addition to the UMO Jazz Orchestra, in the European Broadcasting Union Big Band and the Nat Newborn Big Time orchestra. Pettinen has also played with different gospel bands (f.e. Soul Connections, Soflow, Katajainen), Finnish hip hop artist Axl Smith and the vocal group The Peripherials. Mikko Pettinen has been conducting and planning UMO’s Soul Night productions. He has also composed and arranged different styles of music from children’s music to pop, soul and gospel. He also teaches trumpet playing in Metropolia School of Arts and Pop Jazz Concervatory in Helsinki. The debut album of MP4, “Central Playa” (Impala), was released in 2004. The album was nominated for the Jazz Emma Prize, and the critics of Jazzrytmit magazine chose it as the jazz album of the year.